Sign up today with Gabriel NY for up to 10% off your next order. Act now and create your own ring for less with Gabriel & Co Jewelry. Shop sale at Gabriel NY for up to 60% off jewelry and accessories. 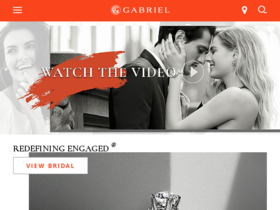 Check out Gabriel & Co online for their latest special offers.